Blue with Blue - Polish This! I found this mani in my archives and it seems that I never posted it, so I thought I'd share it with you today. I think I did this mani in the early fall or something like that, pretty much right after I received the Essie fall collection for review. 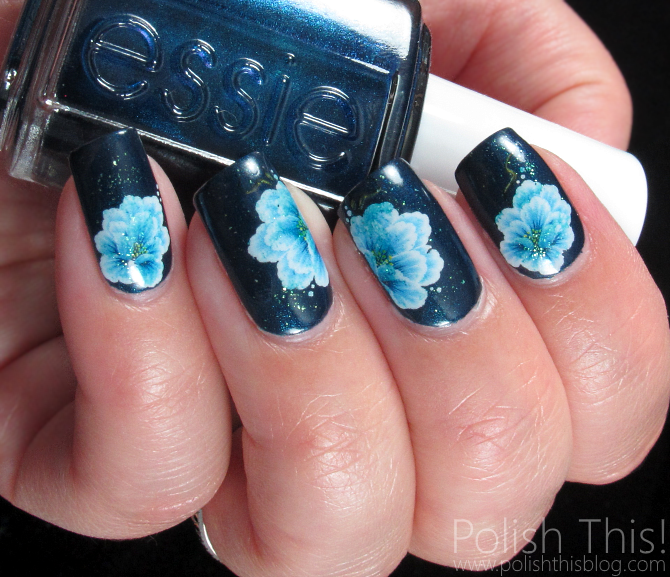 This was once again something quick and simple, just a pretty polish and some beautiful water decals. Nothing too special, but still a great look. The pictures of this mani didn't turn out too great and that's probably the reason I didn't post this before, but here it is now anyhow. I used two coats of Essie Bell-Bottom Blues as my base color. Then I just added the water decals and sponged just a little bit of Zoya Charla over and around the flowers. I did like this very very blue look. Essie Bell-Bottom Blues is still a gorgeous polish and the little added sparkle I got from Zoya Charla was beautiful too even if you can't really see it too much in the pictures. Oh my!!! This is so pretty. 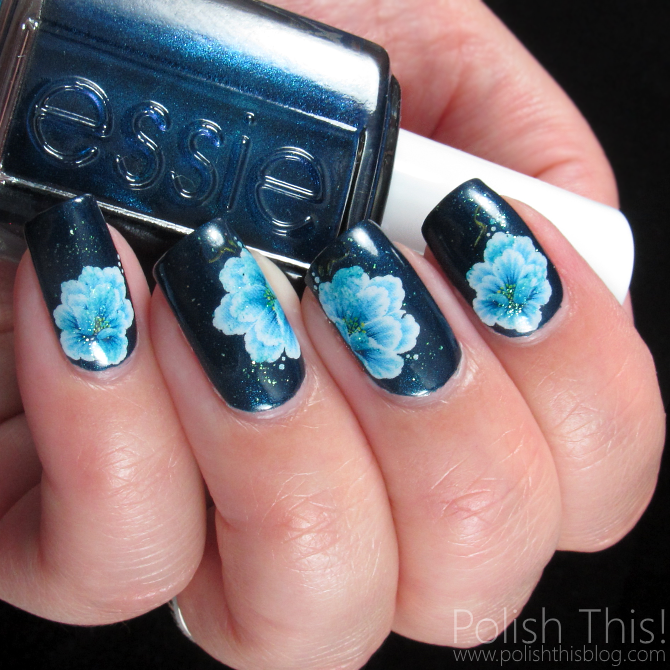 Lovely base color and oh so pretty flowery design. Love it!! !